Shop at Home with a professional. No worries. We come to your home! Best Blinds is a premier shop-at-home window treatment provider serving the Maryland, DC and Northern Virginia area since 2002. We bring the showroom to you! Consultations are done in your home or office with your actual lighting, colors and furnishings. We offer everything from basic mini-blinds to elegant draperies and coordinating accessories such as throw pillows and bed coverings. All are custom-made to fit your windows and décor. We are an authorized Hunter Douglas Dealer. Why Custom? Why Shop at Home? Why Us? When you buy custom window treatments from us, we are experienced pros, so your windows will look wonderful when we're done. We take the worry out of the process for you because we do all the work. If you do your windows yourself, the end result may not give you the custom look, style, function and quality your home deserves. We take custom measurements and professionally design and install everything to exact specs, even in difficult window situations. Linda Jackson Smith, our window fashions specialist, will personally work with you and guide your project from start to finish. Because she has a 4-year design degree with honors, you'll have the added benefit of getting designer input without paying high-end designer prices. Your participation is the fun part, because right in your own home, you have a chance to evaluate fabric, color, and style options to fit your taste and your budget. Our mission is to provide the best style, best service and ultimately the best value to clients who want to bring professional style to their windows. Call us today at 301-352-2557 for your appointment! Make it easy on yourself with Hunter Douglas PowerView motorization. can be matched or coordinated with your paint or fabric. Try out the Color Lux Advisor tool below. 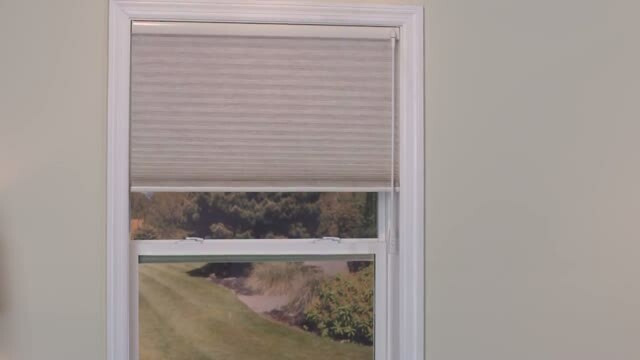 Comfortex PowerTouch Motorized Shades are rechargeable and affordable.